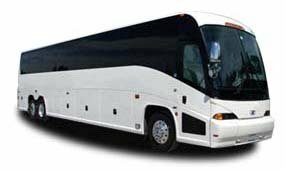 Have a small group that’s too big to split on a rideshare app and public transportation, but not quite big enough to rent a full-sized charter bus? The 25 passenger minibus is the perfect option for groups who need a comfortable ride throughout city. While it may be compact, this minibus leaves plenty of room for comfort, and is reliable enough to get you to your destination. LA Charter Bus Company is fully prepared to streamline all your group transportation needs for corporate events, sports teams, weddings, school events, and more. We’re available 24/7 at 310-667-6197​ to provide you with an immediate, personalized quote.